When you want to go camping but don't have a way.....Get-A-Way! Get-A-Way Camper Rentals, LLC is a small family owned business. Our goal is to provide quality rental campers to families so that they can enjoy the camping experience. Is my vehicle big enough to tow the camper? Do I need a brake controller for the camper? Will my insurance cover the camper? Get-A-Way Camper Rentals take care of all of these for you! Get-A-Way Camper Rentals sets up and removes the camper from your campsite as part of the rental. This way all you have to bring is your camping gear and we do the rest. See our “How it Works” tab for more details or click here. Our goal at Get-A-Way Camper Rentals is to offer our quality rental campers to newbie families that have never camped before, but would like to try it--- or the camping pros who love camping but owning a camper just isn’t practical. Either way we here at Get-A-Way Camper Rentals just want to get you out there! Hope to see you soon and HAPPY CAMPING! Below is a map to Starner Camping & Stables, LLC, where you will sign your agreement and pick up your keys. This process is explained on the How It Works page. The Wildwood sleeps 5 and has everything you need for a comfortable family camping adventure. Click here to read more and check out rates and availability. The Bunk House sleeps 7 and has everything you need for a comfortable family camping adventure. Click here to read more and check out rates and availability. 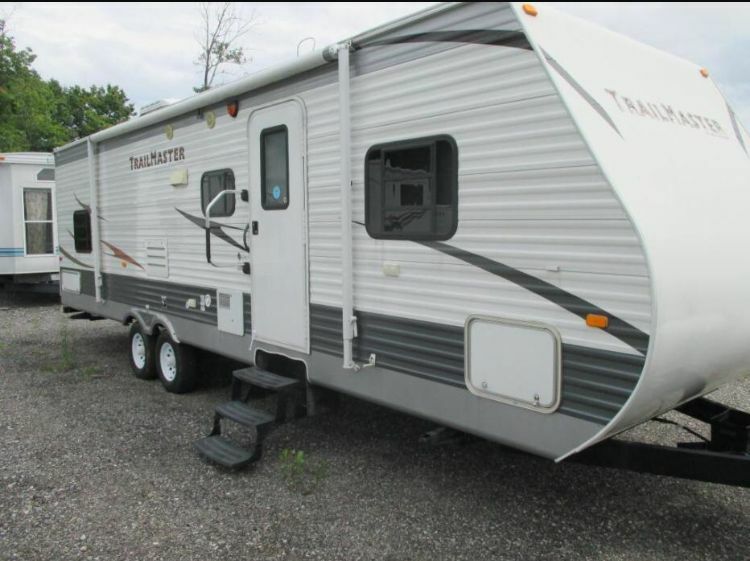 The Trail Master sleeps 5 and has everything you need for a comfortable camping adventure. Click here to read more and check out our rates.